It’s always best to use the name you use on the covers of your books. If that name isn’t available, use your first initial and last name, or include your middle name or initial. In my case, I had to reverse the order of my names (@CaballoFrances). If you’ve developed a brand name, such as is the case with @GrammarGirl and @bookgal, use that as your username. Don’t use numbers or lines in your username. An avatar in cyberspace is a small picture that represents a social media user. Typically, the image is square in shape. Before you sign up for a social media network, either hire a professional photographer or ask a friend to take a decent headshot of you. Or, crop a picture of yourself that you like. You’ll need this image for each and every social media network you use. Don’t use a picture of your dog, cat, child, grandchild, or book cover as your avatar. It has to be you. Why? Your readers want to connect with you, get to know you, and engage with you. If you want readers and influencers to take you seriously, you need to use a picture of yourself. Otherwise, your account will appear anywhere from amateurish to a spam account. There’s a second reason why your avatar must be a picture of you. Your social media profiles are searchable on the web. When someone enters your name or book title in a search engine browser, wouldn’t it be better for them to see a tweet or Facebook post with your picture? You are your brand. Not your cat. Not your book cover. Not your Labrador retriever. You. Represent yourself and your brand proudly. Even if you’re an introvert, now isn’t the time to be bashful. Goodreads adopts the profile image from the social media network you use to sign up. Book covers should be 150 x 245 pixels, and the file format must be either .jpg or .gif. You’ll also need a short bio for all of the social media networks you use. The networks don’t give you a lot of characters to describe yourself. Twitter will limit you to 160 characters. Facebook will give you 155 characters. LinkedIn gives you 120 characters. Pinterest will limit your bio to 160 characters. Do not replicate the following: #Fantasy‪ #Romance #Novelist #Author #Please #spay or #neuter your #pets! 🙂 And even if you’re a coffee aficionado, don’t write a bio like this either: #Frappuccino #Cappuccino #Latte Fanatic. #Star #Wars FOREVER! Again, everything you do online represents your author brand. When someone searches for your name online, you want them to see a picture of you and information about your books, not the coffee drinks you prefer. Also, it’s never a good idea to load up a tweet or your bio with hashtags. Doing so will make you appear unprofessional. One last word: in everything you do online, think about your readers. This applies to your social media bios as well. So sprinkle in some keywords in your bio. Think of keywords as the words or terms a reader would type into a search bar to find a writer like you and books like yours. Whatever they might be, use keywords in your social media bios because there are readers out there who prefer to read historical fiction, nonfiction, mysteries, or whatever your preferred genre is. You’re going to need good quality, copyright-free images for your banner and header images. On Twitter, the large image at the top of your profile is called a header. On Facebook, the large image at the top of your timeline is called a cover image. The different terms are unimportant. What does matter is that you need images that are consistent across all social media networks. Joanna Penn does a nice job of displaying all her book covers. And she represents both of her brands: nonfiction author, blogger, and podcaster; and her darker brand as a thriller author. Facebook: Minimum of 399 x 150. Make sure it’s a JPEG or PNG. Lurk nicely. Check out how people write their tweets and status updates. Find your influencers. Look for readers, book bloggers, and book reviewers. Retweet information that your readers will enjoy. Then get your game on. Write blog posts, tweet and post them, and encourage people to read them. Look for images and create some of your own using Canva or PicMonkey, free applications you can use to add text to copyright-free images you find on the web or those you take yourself. Find meaningful quotes to share, and create text-based images using your finest lines of writing. Also, share humorous memes and anything and everything related to reading, books, and libraries. Don’t over-promote any of your content. Instead, follow the 80/20 rule: 80% of the time promote other users, other writers, influencers, and your readers; 20% of the time post about your books, blog posts, website, and other offerings you might have. 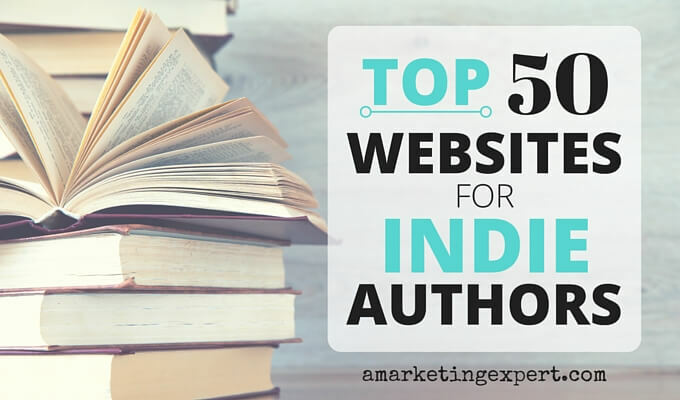 Never say, “Buy my book” or “Please buy my book” or “Read my blog post.” Instead, attract readers to your website, your blog, and Amazon by sharing the best content you can find in your niche. Once you start, don’t stop. The golden rule of success in marketing is consistency. If you start a blog, keep blogging. If you create a Facebook author page, don’t abandon it. If you start a Twitter account, don’t send a few tweets and then stop. Be the little engine that could. A few minutes a day can add up to a lot over time. On Facebook, post a minimum of once a day, and if you have an author page, post twice a day and occasionally invest in advertising. On Twitter, post a minimum of three times daily and follow at least twenty users a day. On Pinterest and Instagram, try to spend 20 minutes a week. The time will fly by once you get started. On LinkedIn, add your blog posts to this network’s publishing platform and add one post daily, Monday through Friday. Also, join at least one group and be active in it. Refer to the section on LinkedIn to learn more about the publishing platform. On Goodreads, add a book review at least twice a month. Join a book group and participate regularly. The way to succeed on Goodreads is by being an active reader. Reply to your readers’ social media posts—and those of influencers in your niche —and share their content. Minimize self-promotion. It’s okay to mention your book is on sale or to share a great review. But keep these posts to a minimum. Thank your readers for their shares, pins, and retweets. Through social media, you’ll have opportunities to meet readers from around the world, influencers within your niche, literary agents, publishers, book coaches, and new friends. You can’t possibly imagine now what social media can do for your career. These experiences will occur as you meet and engage with readers and discover new friends. Enjoy yourself. Good solid advice especially the avoiding weird avatars!